What is a Primary Health Network? How do we help our Community? 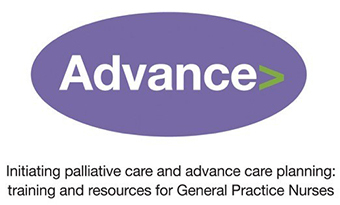 Advance is a free toolkit of screening and assessment tools and a training package, specifically designed to support nurses in Australian general practices to work with general practitioners (GPs) to initiate advance care planning (ACP) and palliative care in everyday general practice. The Advance Toolkit consists of six screening and assessment tools and a Guide, which indicates how to implement the screening tools in a systematic way in general practice. The toolkit was informed by a literature review of the best available evidence about tools to support palliative care and ACP in general practice, as well as input from our expert advisory group and feedback from general practice nurses, general practitioners and Carers Australia. It’s easy to get access to the online training which is FREE and gives 2 CPD Hours. Designed for busy people! You can stop and start whenever it suits. And you can go at your own pace, in your own time. – Go to the Advance website www.caresearch.com.au/advance – Click on Get Started Now and at Joining the Project page – put in your details and create your own password and answer the eligibility questions. If you have already completed either the Advance online training or attended an Advance Practical Workshop, would you like to…..
Share your insights in a brief interview to help improve the training? We would really value hearing more about your experiences in taking part in the advance training and implementing (or planning to implement) the assessments within your clinical practice. If you agree, one of team members can call you to discuss your experiences. It will be a phone interview for no more than 30 minutes at a time that suits you. We will give you a $50 gift card to thank you for your time. Interested in being interviewed? Please email us at advanceproject@hammond.com.au. Use the Advance tools and be paid to be part of a national Clinical Audit? If you’re planning to start using Advance in your everyday clinical work, we would value your contribution and feedback to improve the quality of the assessment process – and you will be reimbursed for your time. The sample audit forms can be downloaded from the Advance website when you login. Find out more about the Clinical Audit here or please contact us to find out more. A training package targeting general practice nurses. We acknowledge the traditional custodians of the land on which we work and strongly support practices that provide culturally appropriate services to Aboriginal patients. Sign up for all the latest news and events. While the Australian Government Department of Health has contributed to the funding of this website, the information on this website does not necessarily reflect the views of the Australian Government and is not advice that is provided, or information that is endorsed, by the Australian Government. The Australian Government is not responsible in negligence or otherwise for any injury, loss or damage however arising from the use of or reliance on the information provided on this website. Copyright 2018 Sydney North Health Network. ABN 386 053 538 84.